Hundreds of young Australians will have access to new quality job opportunities in the arts and creative industries under a partnership between the Government and national employment and education provider AFL SportsReady. AFL SportsReady CEO James Montgomery today welcomed the announcement by Minister for the Arts Simon Crean that the Government would invest $3.4 million to establish a specialist arts and creative education and employment pathway for young Australians through ArtsReady. Mr Montgomery said the first ArtsReady trainees would start next financial year, working with the arts and creative sector to place up 100 new trainees across Victoria and NSW in the first 12 months, including opportunities for Indigenous students as part of a joint ambition to support more young Indigenous Australians access good jobs in their chosen fields. 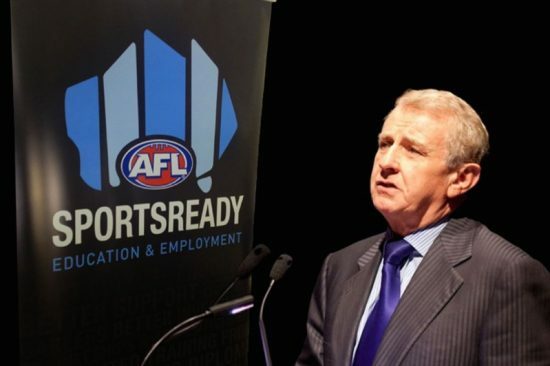 “In the two decades since AFL SportsReady was established as an independent, not-for-profit education and employment company, we have continually grown to deliver education and employment pathways in a wide range of industries from sport and recreation to finance, education, IT and even horticulture.” Mr Montgomery said. Mr Montgomery said many young people assumed a career in the arts and creative industries was only available as an elite artist or performer, with many unaware of the large number of ancillary and service roles necessary to support the sectors. “A traineeship through ArtsReady will deliver young people with the skill-based training they need to enter and succeed in the arts and creative industries, offering a pathway to meaningful employment for the vast array of the technical, management and administrative jobs vital to the sectors’ ongoing development,” he said.